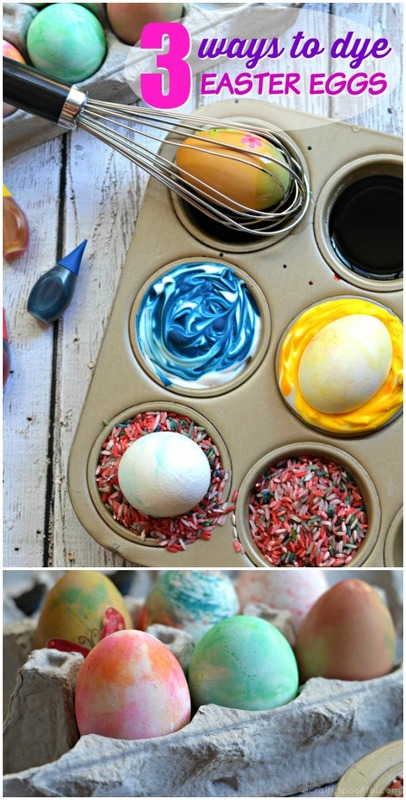 These 3 Ways to Dye Easter Eggs with Toddlers and Preschoolers will make egg dying fun for the whole family! This year our preschooler is ready to jump in with both hands and really have fun dying Easter eggs. 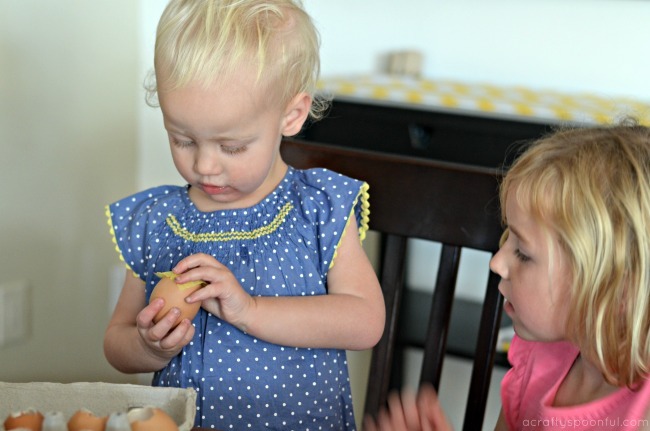 We did a few experiments of our own last year to find 3 ways to dye Easter eggs with toddlers and preschoolers that are not only fun but easy too! And as an added bonus, you probably have all of these things in your home right now. How’s that for awesome? With small children, it’s hard to use the ready-made kits on store shelves. Their little hands just aren’t ready for holding those thin wire holders and spoons can sometimes be harder to control. So we set the spoons aside and let the kids have fun with these few suggestions! As I mentioned before, it’s really hard for little ones to use those small wire handles that come with the store bought ready-made kits. So we make it easier by placing hard boiled eggs in a whisk for easy dunking. Put some plastic cups in a muffin tin for stability and fill with 1/2 a cup of warm water and 1 tablespoon of vinegar. Then add in some food coloring drops to create the colors you want. Grab your hard boiled egg in the whisk and let your child dunk until they’re done! 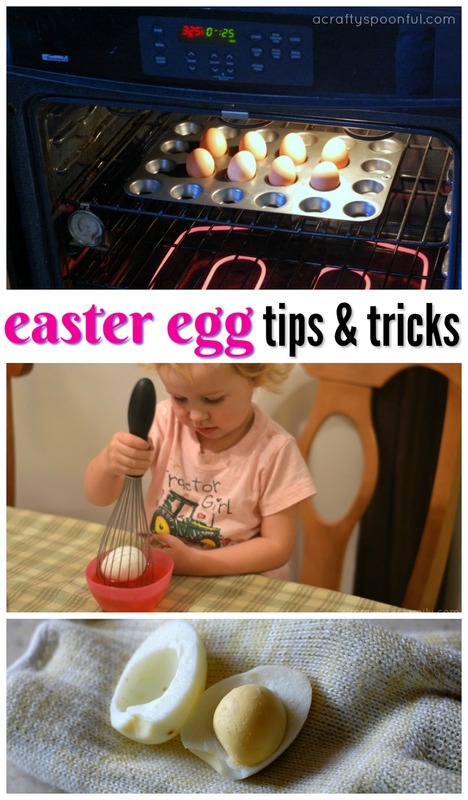 You can also forgo the whisk and cups and simply let your child dunk their eggs in the muffin tin directly! But be prepared for a bit more mess that way. Grab a tub of your favorite whipping cream and add it to a few muffin tin wells. Then add a few drops of the food coloring of your choice and swirl with a toothpick. Add a hard-boiled egg to the center of the muffin tin well and spin with your hands until the whole egg is covered. Pull out and set aside to dry. Wipe off any excess cream with a paper towel and enjoy the beautiful colors it leaves behind. Alternatively, you can also use shaving cream! Grab some rice from the pantry and add to a few wells in your muffin tin pan until they’re about 1/2 way full. Add some drops of food coloring and mix around with a toothpick until the grains of rice are coated with the food coloring. Add a hard-boiled egg into the muffin tin well and swirl around. Let dry completely and enjoy! 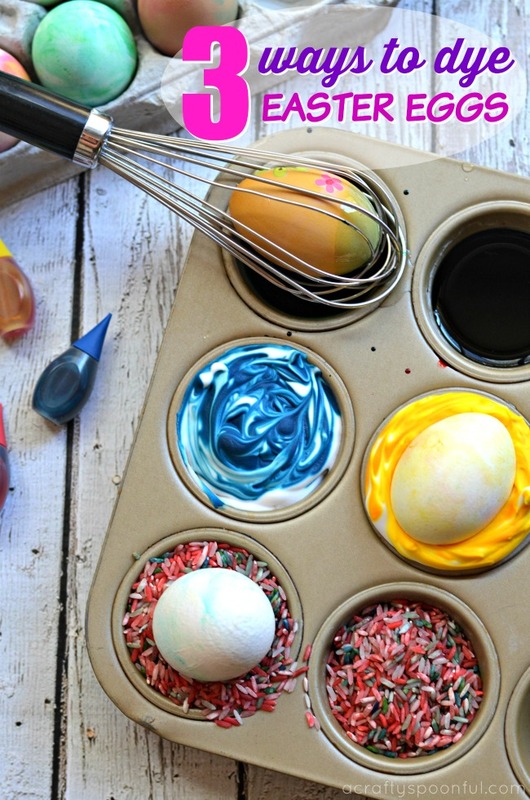 These 3 ways to dye Easter eggs with toddlers and preschoolers is a fun and easy craft you can do with your kids this Easter. We love setting everything out and sitting back to watch what the kids will think of next when they’re dying their eggs. A few alternative tools you can leave out for your kids are stickers, crayons, and paintbrushes. Looking for more Easter ideas for the kids? Check out these perfect Easter Egg Hunt Ideas for toddlers when you’re planning an egg hunt for your playgroup. We’ve been planning playgroup egg hunts for years and have nearly perfected the art of the perfect playgroup egg hunt! And we’re sharing all of our tips today! I am not sure if you know this about me but I actually ran a playgroup of moms and kids for about 5+ years. I jumped in when my good friend moved out of the area and needed someone to take over her playgroup. Because I had such a great experience when my youngest was an infant and had built true friendships, it was a win-win situation for me. Sadly, with work and life (and our kids going to school) we no longer have playdates regularly but we still get to see each other on occasion. From this experience, I have a lot of knowledge of all things playdate. And planning the perfect playdate becomes an art form after a while. That includes holiday-based playdates. 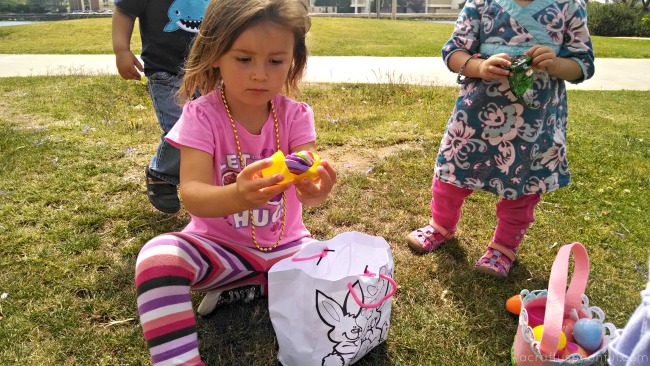 With Easter right around the corner, I thought it’d be the perfect time for me to share how to plan the perfect Easter egg hunt for toddlers and preschoolers. These ideas are great when paired with an active local playgroup in your area or a good group of friends and kids. 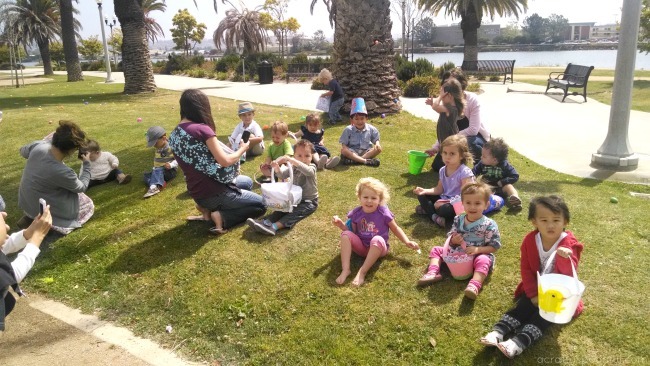 In a playgroup setting, it can be really fun to gather friends for a classic Easter egg hunt. Especially for toddlers and preschoolers. Not only is it smaller than, say, a community gathering, there’s also more control over the overall experience for your little one. 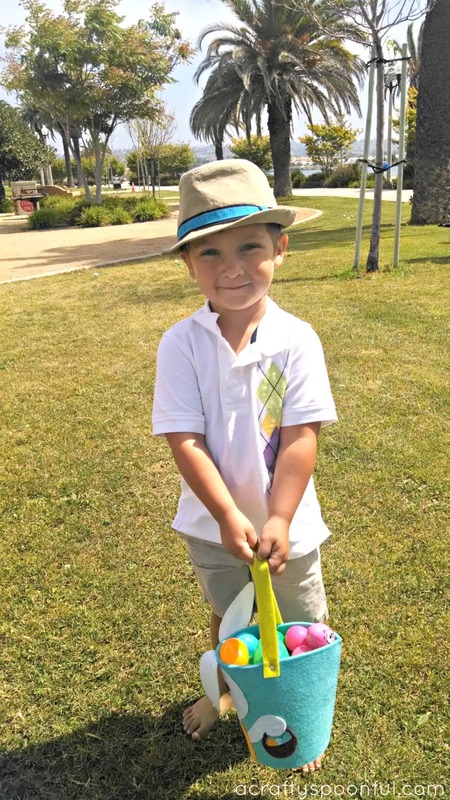 We’re sharing some of our top tips for planning and executing a seamless Easter egg hunt for toddlers. 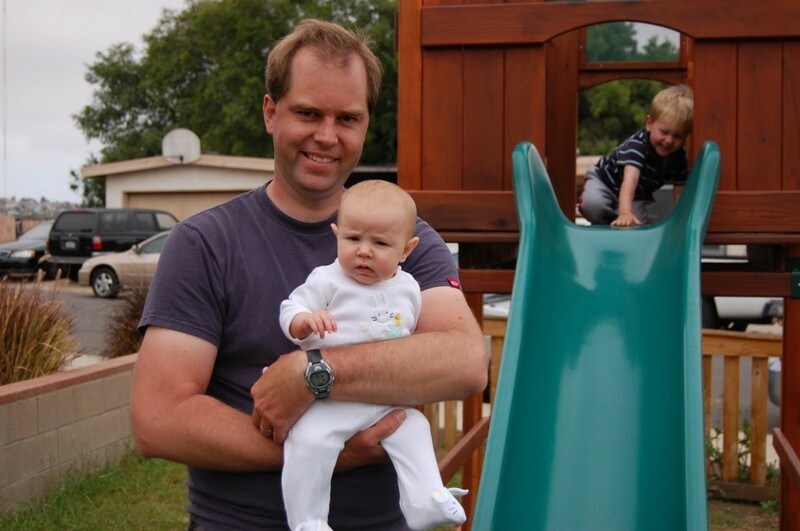 Is the event space easily accessible for parents? Does it have close parking for parents of multiple children or parents of infants? Does the event space have a large amount of grass to run around on? 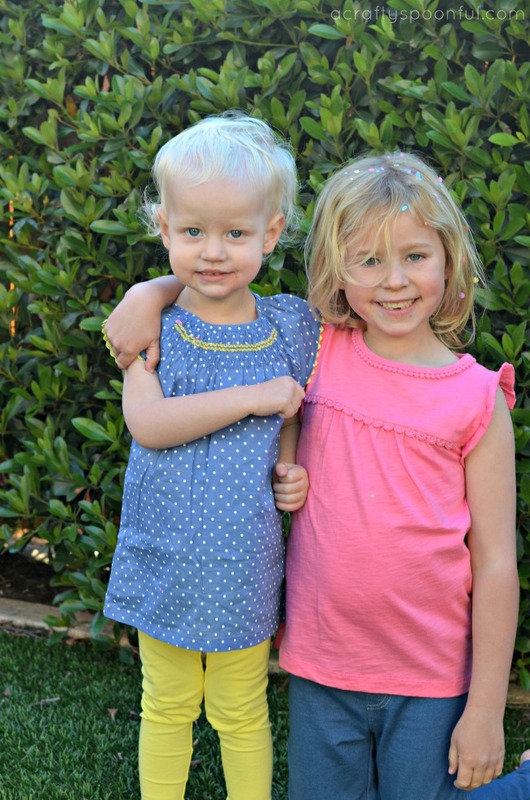 Are there taller hiding areas for older kids in your group? Are there areas other than the ground you can hide eggs in or around? Are there restrooms close to the event space? It may not sound like a big deal but for potty training toddlers, having access to a bathroom is ideal. Ask each parent to bring at least 10 filled plastic eggs per child they’re bringing. That way each child will collect the number of eggs their parent brought (no one is left out!). Be clear on any specifications of what can and cannot go in the plastic eggs. If you know a child with an allergy will be attending, look for non-food options to stuff your eggs with. Some great ideas for this would be stickers, age-appropriate toys like finger puppets, erasers, sticky hands, and age-appropriate jewelry. If you are enjoying snacks before or after the hunt, ask each parent to contribute a dish to the event. And just like with the eggs, consider allergies when preparing dishes for the group. 3. Setting up the event – As the host, try to arrive at your event about 30 minutes prior to the event starting. That way you can scout out where the best spots for hiding eggs are and can secure a bench or area for your playgroup to create a home base. It’s helpful to bring a trash bag or two just in case the area doesn’t have accessible trash cans. That way you can take out anything you brought in with you. If you’re serving food, don’t forget the wipes! Create a station at your home base for parents to dump in the pre-filled eggs they brought with them so that once everyone arrives, you can hide the eggs while the kids are enjoying their time playing together or sharing a snack. 4. 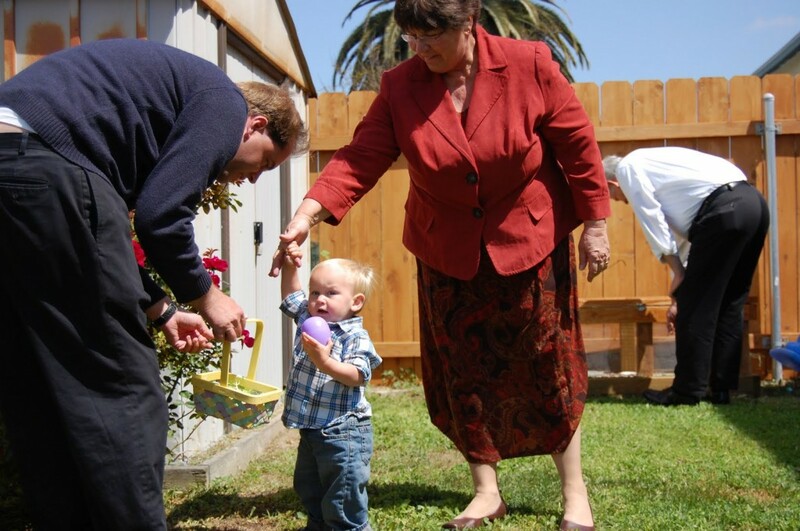 Starting the egg hunt – Once all of the parents have arrived, it’s time to get the egg hunt started! Enlist one or two parents to help you start hiding the eggs while the kids are distracted. Once all of the eggs are hidden, come back to the kids and make sure each has a basket or bag to collect their eggs. Instruct the kids to only collect the number of eggs they brought with them. Once they are done collecting that number, have them come back to home base for some fun revealing what’s in their eggs. Since each child is collecting the same number of eggs that they’ve brought, you don’t need to worry about starting one age group before the next. The toddlers can take their time collecting eggs (or picking dandelions like my kids do) while the older kids race ahead. Want more Easter fun? 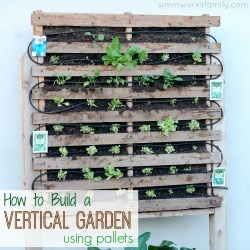 Here are some posts we think you’ll enjoy! Want to make your life easier? 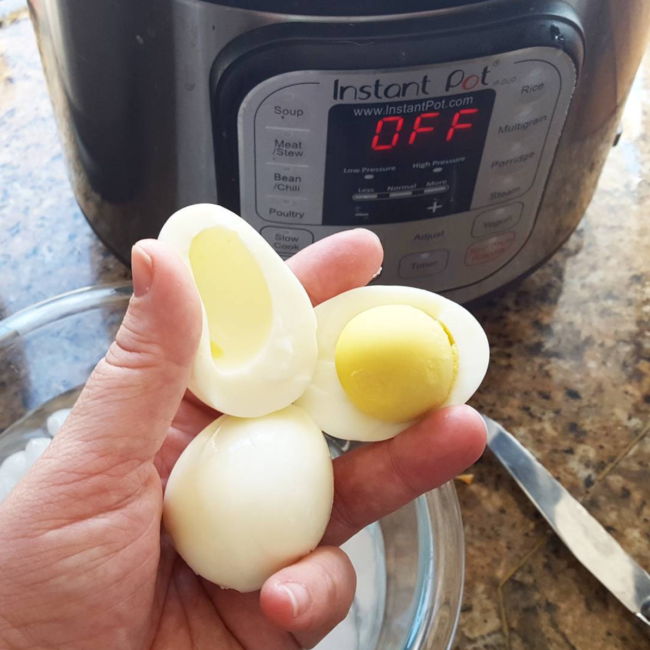 Try these hard boiled eggs in the instant pot and watch the shells slide off! Plus no more grey ring around the yolk. One of the biggest uses I get out of my Instant Pot when I am not making dinner is making hard boiled eggs. I use the 5/5/5 method where I cook them for 5 minutes with a cup of water, let the pot naturally release steam for 5 minutes, then put the eggs in an ice bath for 5 minutes. With Easter right around the corner, these confetti eggs are a great way to celebrate. 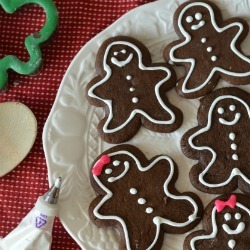 With the help of our sponsor, Kohl’s, we’re sharing how you can make them at home! This post is sponsored by Kohl’s. I was paid for this post and received the included Carter’s clothing as compensation. Every year for our kids school festival the most popular booth for the kids is the confetti egg booth. 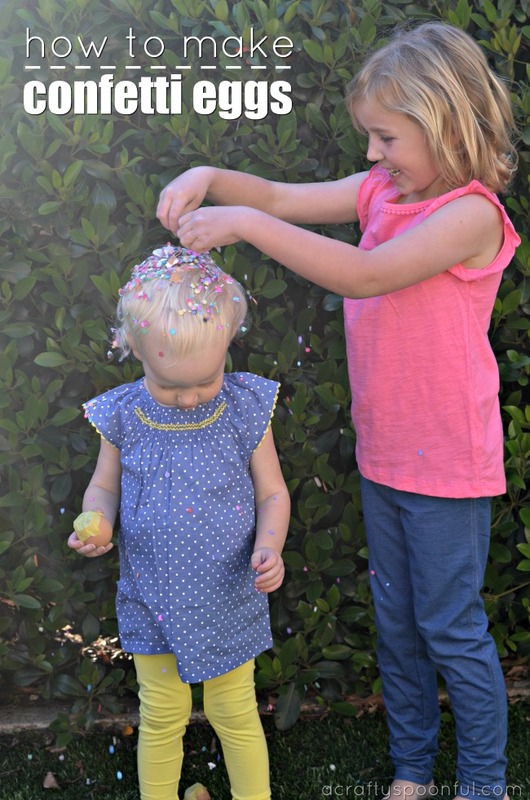 Now before we went to our first festival, I had no idea what confetti eggs were. Then my husband explained it and shared how his grandmother would have egg cartons and eggs all over the house because she’d make confetti eggs all throughout the year in preparation of their school’s festival. Guess what? I’ve turned into that person. I may or may not have stashed egg shells in egg cartons all around the house to start getting ready for confetti eggs. And with Easter coming up, it’s time to start making them! 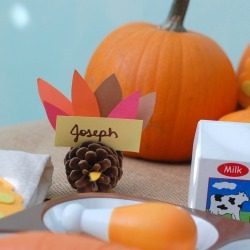 Good thing these are super easy to make and fun for the kids to get involved. While we’re on the topic of Easter prep, in an effort to get ahead of the game, I had the girls come with me to Kohl’s to pick out some cute outfits for Easter. This year instead of the pretty dresses they normally turn to, they decided to chose more comfy, playful outfits in beautiful spring colors. I love how these Carter’s outfits we picked out allow the kids to play and create without being limited or uncomfortable. You can check out a few of the looks we chose below! 1. Taking your egg, carefully tap the top of the egg in a circle with butter knife. Once tapped around the top of the egg, remove egg shell from top. Using knife, scramble the egg in the shell a bit and pour out into bowl. Rinse egg with water and let dry completely. Scramble up the eggs and enjoy a protein-filled snack! 2. 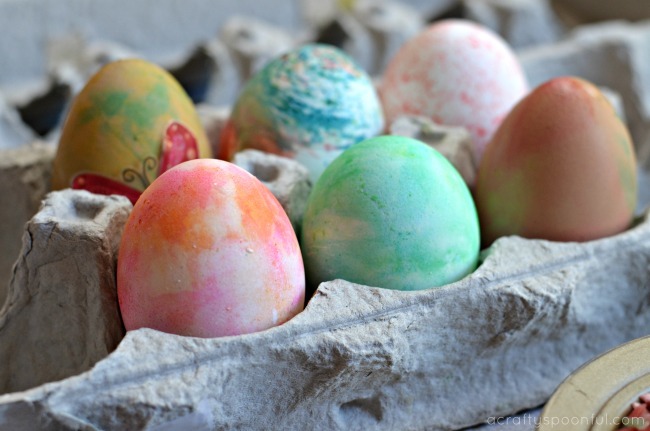 OPTIONAL: Once egg has completely dried, you may decorate your egg with markers or egg dye. We just leave ours the same color as the eggs. 3. Fill egg with confetti about 1/2 to 2/3rds of the way full. 4. Cut out squares and/or rectangles out of your tissue paper. Then, using the glue stick, add glue to the edges of the tissue paper square. 5. Add tissue paper square to top of the egg to cover the hole completely. Let dry and then enjoy going crazy with the eggs! Looking for some outfit ideas for Easter? 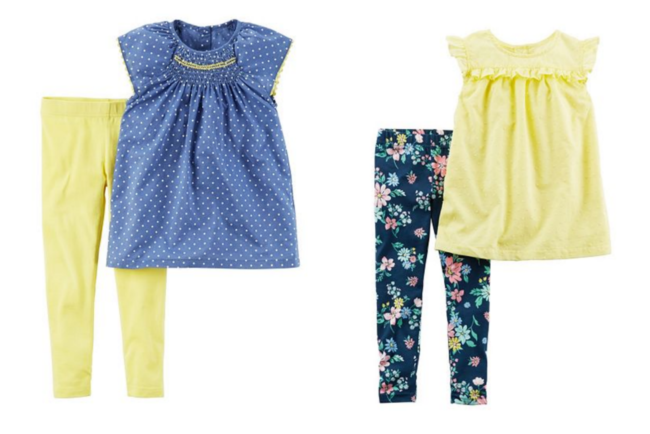 We’ve picked out some cute outfit ideas you can pick up at your local Kohl’s or online from the Carter’s line. How cute are these? We’re huge Carter’s fans. 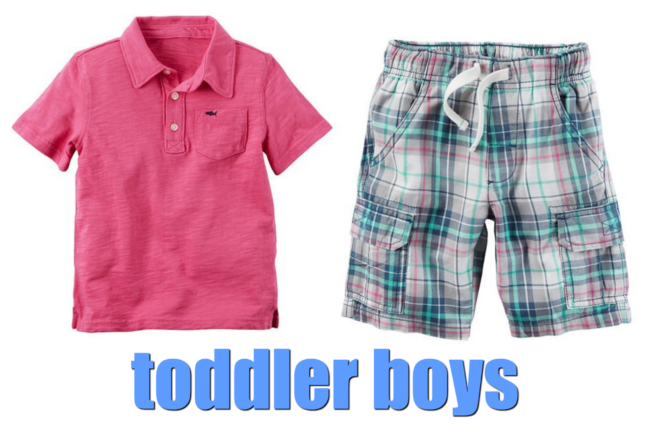 We’ve been clothing our kids in Carter’s since they were first born. No, seriously! Each of their newborn outfits was Carter’s brand. I love that I can get the girls coordinating outfits since many of the outfits and pieces I found come in both toddler sizes and kid sizes. Perfect for siblings! 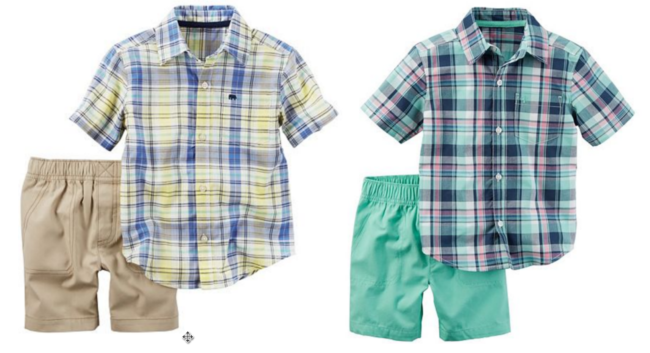 From 3/17 – 4/2 you will $10 off a $40 Carter’s purchase with promo code KIDSALE10! 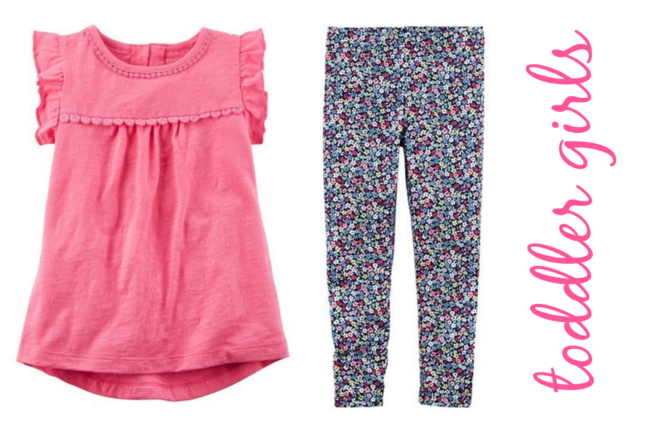 Take advantage of this great deal and score some adorable outfits for the kids. Win-win, right? 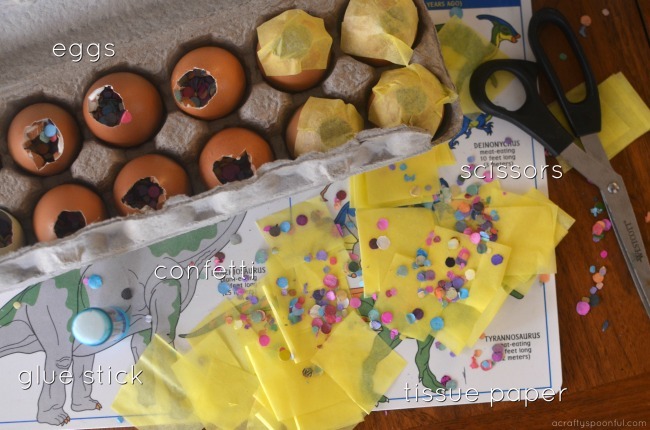 Have you made confetti eggs before? My blog may contain links to other websites. I am not responsible for the privacy policies of those other websites. When you click on a link, your information may be collected by those websites so I encourage you to read their privacy policies. These affiliate links are not associated with Kohl’s. Easter is a wonderful time to gather with family and rejoice. And after we enjoy Mass as a family we love enjoying an Easter brunch. 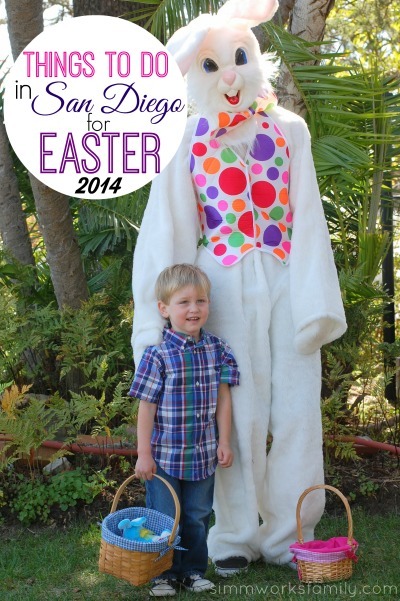 Depending on the year, sometimes we enjoy a morning out with Easter brunch in San Diego. 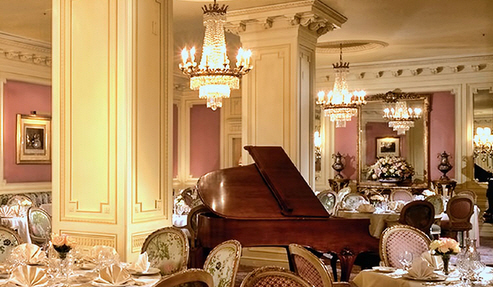 There are so many wonderful places hosting Easter brunch here in San Diego. Everyone can find a place suited to their family’s liking. The only thing I suggest is to call ahead and make reservations (or purchase tickets) if available. With Easter right around the corner we’re trying to figure out what activities we want to partake in around town. 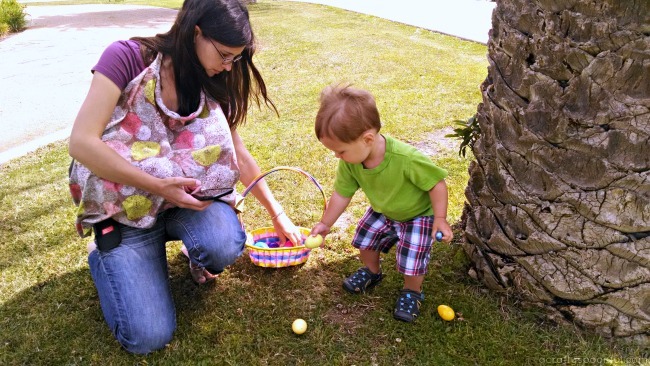 And that means one thing to the kids… Easter egg hunts! They absolutely love meeting up with friends and participating in some of the fun hunts going on here in San Diego. 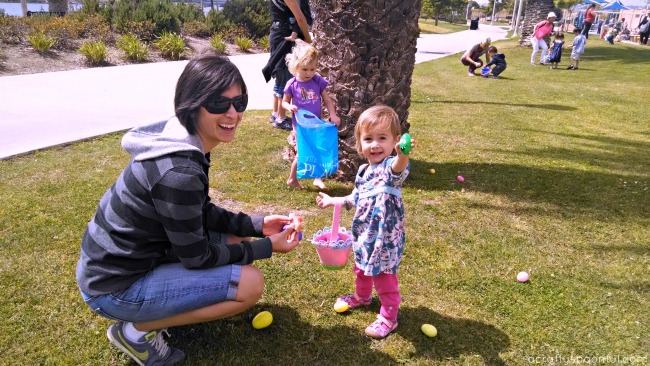 From events at the local hotels, to great programs put on by Parks & Rec, there’s something for everyone to do in San Diego for Easter with kids. You just have to know about it! With Lent here Easter is just around the corner and that means that the Easter decorations start coming out. Our egg wreath is on the door, spring mantel is put in place, and a few crafts are ready to be made. 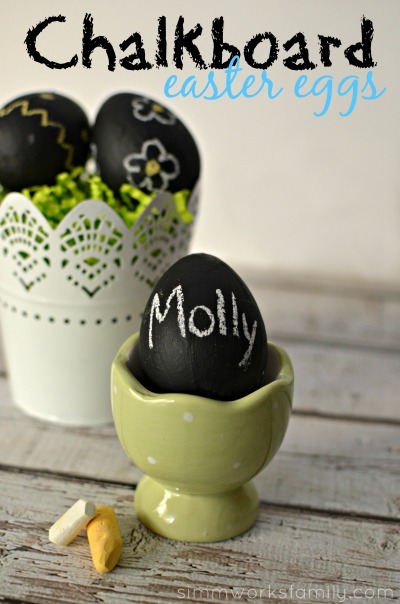 Including these chalkboard Easter eggs. 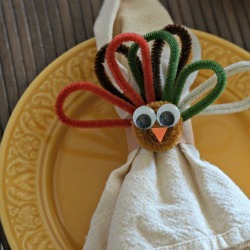 Not only are these easy to make, they’re lots of fun for the kids! And the perfect way to keep the kiddy table at Easter brunch entertained. 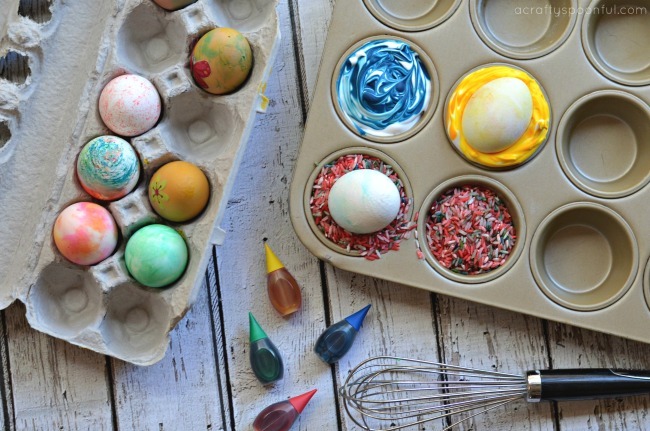 These Easter egg tips and tricks will help make egg decorating with the kids easier! This Sunday marks the fourth Easter for my son and the second for my daughter. I’m so excited to share this holiday with them and love watching their joy and excitement as we celebrate the resurrection of Christ with our friends and family. I try my best to remind them that this holiday isn’t just about chocolate and Easter eggs but sometimes as a parent, I just need to give into the fun and let my kids enjoy themselves. They’re pretty good at it and their excitement becomes contagious. I wanted to pass along some tidbits that I found helpful when it comes to dying Easter eggs. 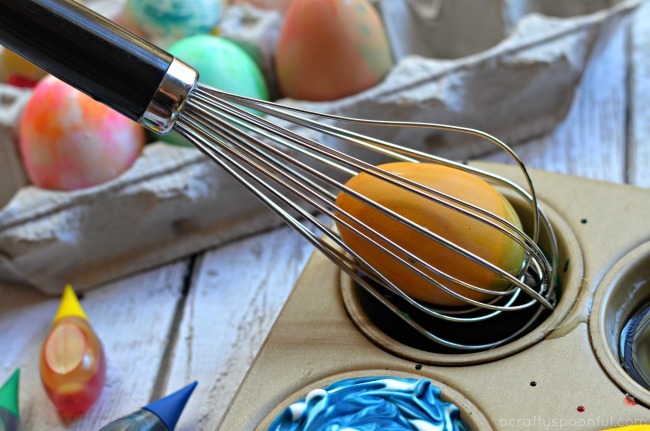 Decorating and dying Easter eggs is probably one of my son’s favorite parts of our Easter celebration and we’ve come across a few great ways to make it easier and more fun for everyone. Some of these tips you might have heard already and others might be new! 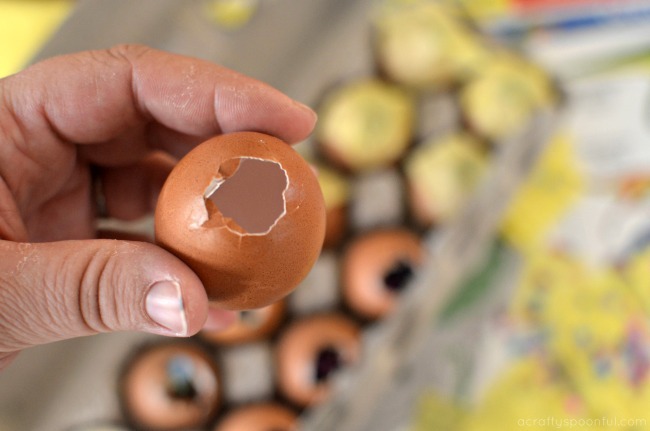 Are you tired of figuring out the “perfect” way to make hard boiled eggs? Do your shells stick? Do your yolks turn gray? Well, I’ve found the solution to all of your problems! Bake ’em. 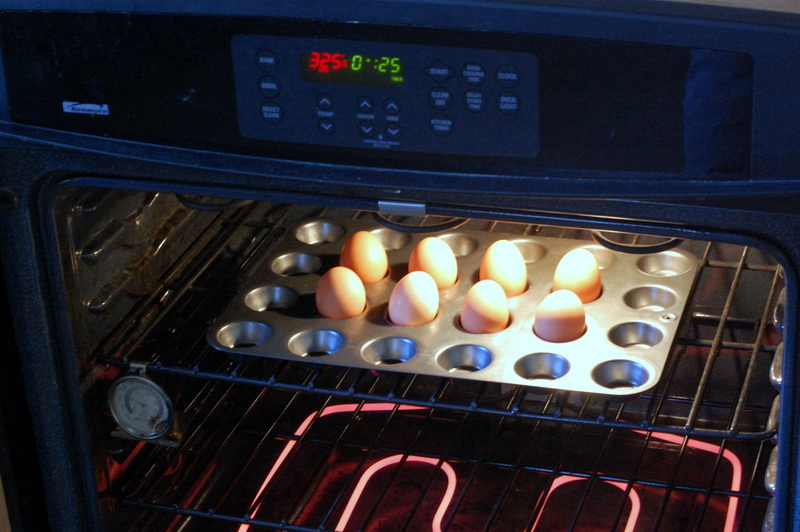 Turn the oven to 325, put the eggs in a mini muffin pan and set the timer to 25 minutes. When the time goes off gently transfer the eggs to an ice/water bath with tongs for 10 minutes and then you’re done. 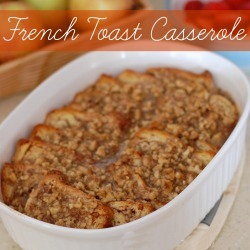 Simple, easy, and fun too! 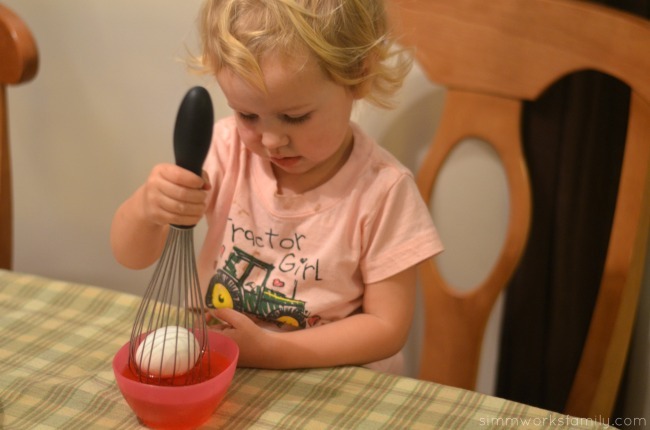 Putting hard-boiled eggs into a whisk makes egg dying a lot easier for small hands. simply grab a whisk from the kitchen, pop the egg through the wire, and let your child dip away! When they are done with the egg just pop it back out and set it down to dry. A few tips on what you can use and how to dye naturally can be found on Martha Stewart. 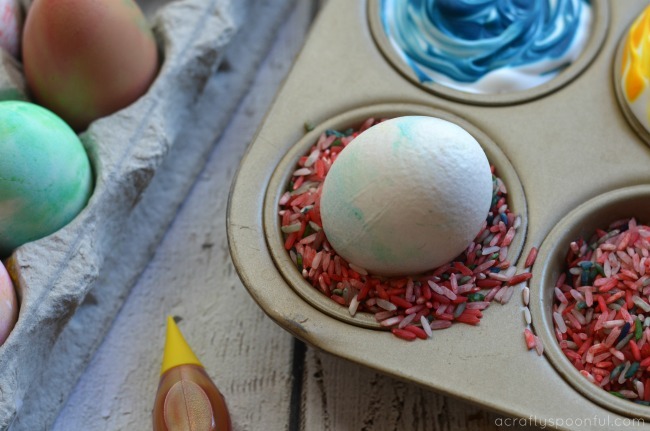 You don’t just need to use dyes to decorate your eggs! 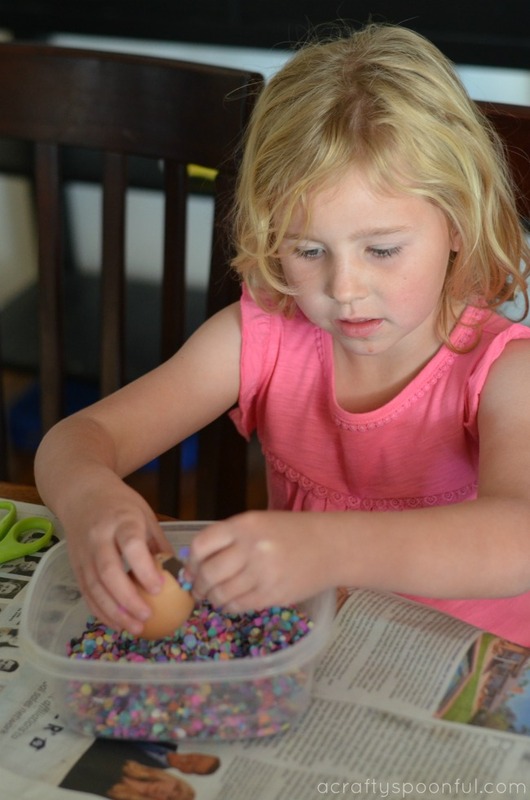 Crayons, glitter, and stickers are great alternatives to dyed eggs. And it can be easier for infants and toddlers to get involved. 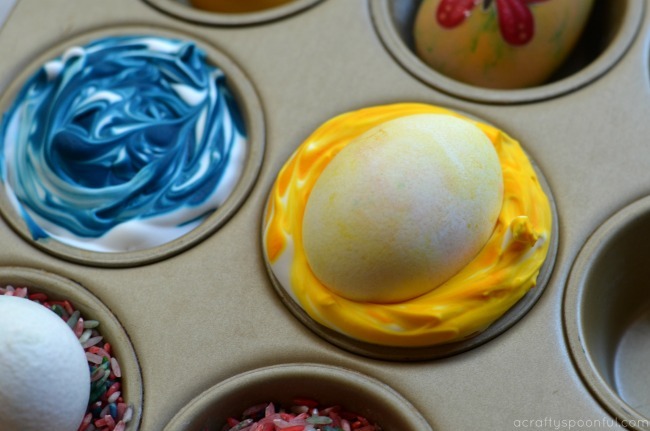 You can also use a variety of tools to create different designs on your dyed eggs. 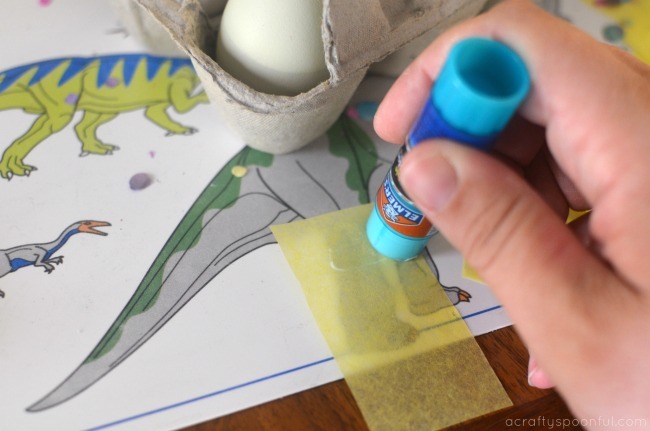 Wrap a rubber band around the eggs before dipping, or use some electrical tape to create stripes and designs. You can also use a white crayon to draw pictures and write names on your eggs before you dye them. For more great tips check out this post on Formula Mom. If you have some tips to making Easter egg decorating more fun I’d love to hear them!